A personalised iPhone XS case designed by you! Make your own iPhone XS case in just a few simple and fun steps! 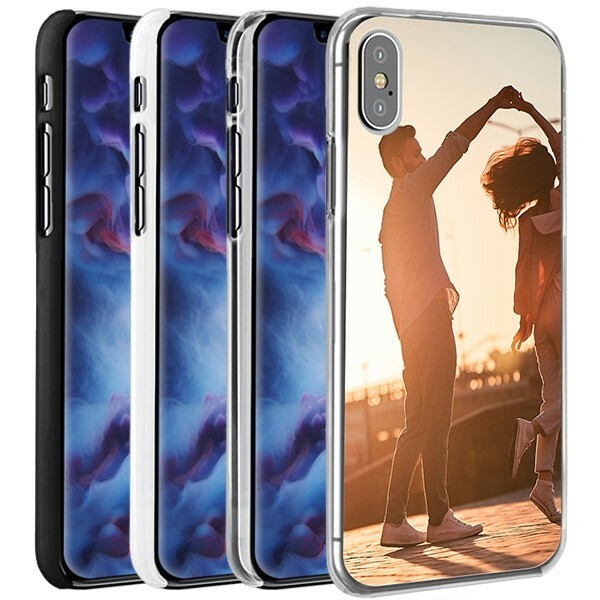 Design your own iPhone XS hard case today! The best protection for your device! Do you want to protect your cherished phone and give it a unique make-over at the same time? If this is the case, you have come to the right place! 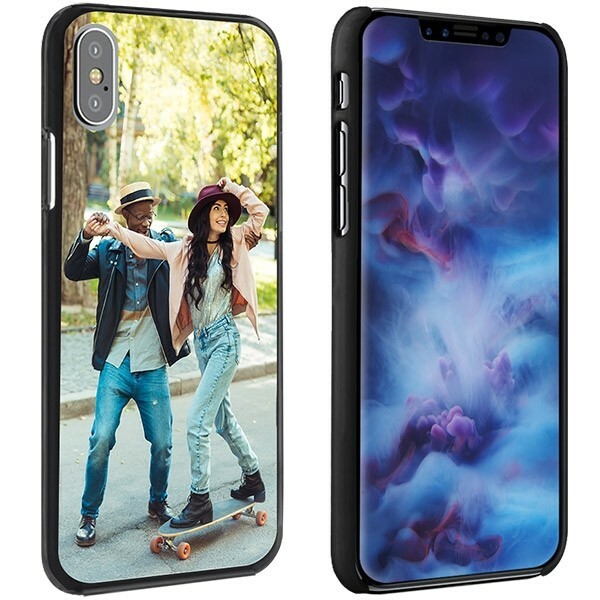 Here at GoCustomized, we give you the possibility to design a unique personalised iPhone XS case. The design process is completely up to you! You can, for example, place a beautiful picture of your last vacation on your case. This way you will carry around your favourite memories wherever you go. In addition to that, the hard case protects your phone from drop, impact and scratch damages. All buttons and features remain easily accessible! 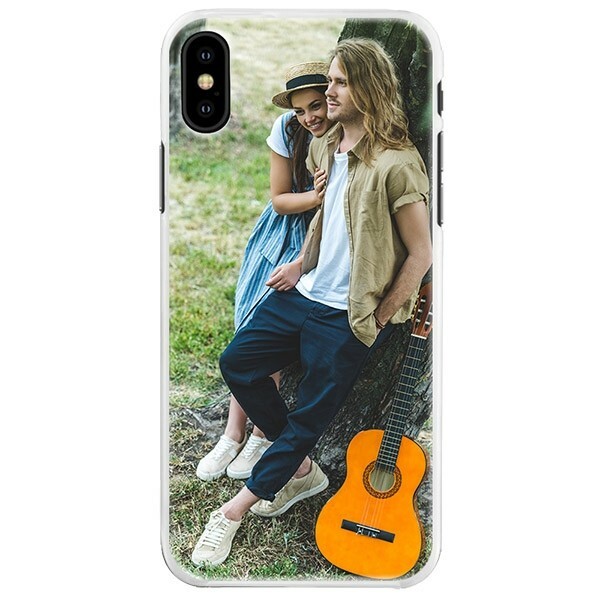 Let your creativity run free and design your personalised iPhone XS case today! With our user-friendly customizer, you can design your personalised iPhone XS case in only a few easy steps. You are the artist! Start by uploading your favourite picture or design from your computer, phone or social media. Upload directly from Facebook or Instagram, for instance! Now is the time to be creative. You can adjust the image or images you wish to see on your case by moving, rotating and resizing them. To make your personalised phone case look even more spectacular, you can also add text, a quote, or an important date to the design. Everything is possible! Start now! Before placing your order, please make sure to carefully verify all of your order details. Once you have submitted your order with us, we will start to produce your personalised iPhone XS case almost immediately. Your design will be printed on the hard case using high-quality UV printers with scratch-resistant ink. This way, we guarantee the best results! If you still have questions regarding your case, please do not hesitate to contact us via support@gocustomized.co.uk. Our support team is always there to help you! Don’t wait any longer. Start now and design your case!